Is a mouthful of metal actually a better option over crooked, misaligned teeth? What if you could avoid both? General dentist Eric T. Moskowitz, DDS, offers Adult Clear Aligner teeth alignment treatments at his practice in Concord, North Carolina. If you want a beautiful smile without the hassle of braces, call the office, or book an appointment online today. What do Adult Clear Aligners involve? You have an innovative new alternative to braces: Adult Clear Aligners. Your teeth will be progressively aligned over time thanks to clear, plastic aligners that fit over your teeth. It’s best to wear the aligners for at least 20 hours per day, but you can remove them for easy eating and teeth cleaning. Adult Clear Aligners should stay in your mouth if you aren’t eating or brushing your teeth. Are Adult Clear Aligners really better than braces? Invisibility: People never see a mouthful of metal; they see your real teeth. Comfort: Thanks to the smooth plastic, you won’t get the mouth irritation caused by sharp metal braces. Convenience: With the ability to immediately remove them whenever you need to eat, floss, or brush your teeth, they’re easier to manage than braces. Timing: With Adult Clear Aligners, you can expect to see results up to 50% faster than with other orthodontic techniques. Who is a good candidate for Adult Clear Aligners? 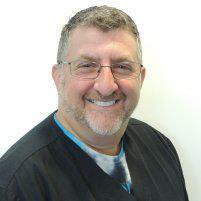 Dr. Moskowitz may recommend an alternative treatment if you have major orthodontic and alignment issues. To see whether Adult Clear Aligners are the best option for you, visit his office for a consultation. What should I expect from an Adult Clear Aligners treatment? First, Dr. Moskowitz needs to examine your teeth to see if Adult Clear Aligners are the ideal choice for you. He might either make physical impressions of your teeth or create 3D images of them using a digital scanner. With these, Dr. Moskowitz will be able to form an individualized treatment plan that suits your specific needs. After that, Dr. Moskowitz will fit customized plastic aligners to your teeth. While you wear them, the aligners gradually push your teeth where they are supposed to go. To keep your teeth moving in the right direction, Dr. Moskowitz will occasionally make new aligners for you. Until your smile is perfect, this process will keep going. Want to straighten your teeth and have a perfect smile? Don’t want the pain, discomfort, and inconvenience of braces? Book online, or call the Concord office to talk to Dr. Moskowitz about Adult Clear Aligners.